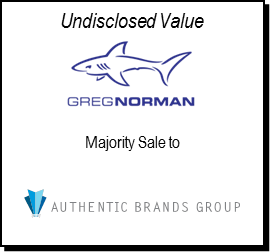 Baird Global Investment Banking recently advised the Greg Norman Company (GNC) on its joint venture with Authentic Brands Group (ABG) to own and manage the iconic shark brand. 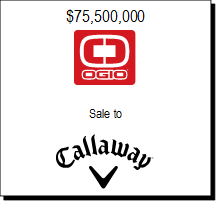 Through the deal, the brand development company ABG and the legendary golfer’s diversified investment business will join forces to expand licensing, endorsements and partnership opportunities. 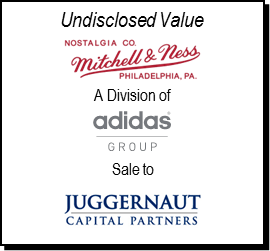 Baird’s Global Consumer Investment Banking group has a strong and growing track record of advising Consumer companies – recent examples include Ogio, Mitchell & Ness and Collective Brands – on transactions involving licensing relationships. 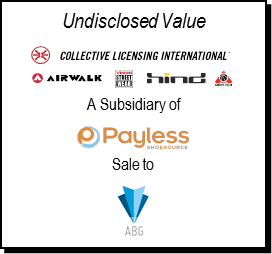 For a complete list of Baird transactions, please visit www.rwbaird.com/investment-banking.